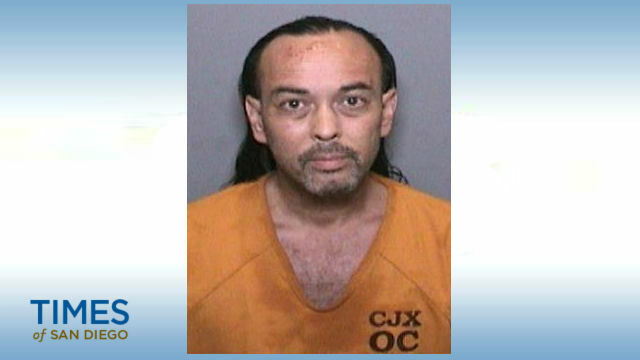 A man accused of igniting the Holy Fire that blackened 23,000 acres in Riverside and Orange counties pleaded not guilty Tuesday. Forrest Gordon Clark, 51, faces felony charges of aggravated arson damaging at least five inhabited structures, arson of inhabited property, arson of forest and making criminal threats. He is accused of setting the Holy Fire, which began in the Holy Jim Canyon area on Aug. 6 and wasn’t fully contained until Sept. 13. The blaze forced the evacuation of thousands of residents and destroyed 18 structures. During a two-day preliminary hearing in December, Orange County Fire Authority Capt. William Lackey testified that Clark’s next-door neighbor in Holy Jim Canyon, Frank Romero, used his phone to record four minutes of the defendant threatening to kill Romero hours before the fire was set. “Mark my words, you’re going to die at 12:37,” Clark allegedly said in the recording, which was mostly audio since it was taken through a bathroom window screen that obscures the video, Lackey said. Experts suspect the fire started between 12:44 p.m. and 1 p.m. that day, Lackey said. Romero thought the “threats were credible and he was afraid of Mr. Clark,” Lackey testified. Several years before the Aug. 6 alleged threats, Clark told Romero, “If you mess with me I’ll blow up your truck and burn down your cabin,” according to Lackey. On July 15, Clark accused Romero of breaking into his cabin and stealing from his neighbor, Lackey testified. Clark was involuntarily admitted into a mental health hospital on July 23 and was released six days later, his attorney, Nicole Parness, said. Also during the hearing, a U.S. Forest Service investigator described his bizarre interview with Clark, who claimed he hadn’t slept and had been fasting for 40 days around the time the fire erupted. As a result, Clark said he couldn’t be sure if his recollections of what happened that day were just a lucid dream or reality, investigator Albert Banh testified. Clark never admitted setting the fire, instead blaming it on “Mexicans,” and two of his neighbors in Holy Jim Canyon, Frank Romero and Holy Jim Volunteer Fire Department Chief Michael Milligan, Banh said. Clark claimed Romero and Milligan set the blaze to kill him and his cat, Banh testified. Clark also complained someone had been stealing his keys and broke a window in his cabin, Banh testified. The defendant also speculated that the fire could have been started with candles, according to the investigator. At another point, Clark said, “No, but maybe,” when asked if he started the blaze, Banh testified. Parness argued during the hearing that there was no physical evidence linking her client to starting the blaze, and she also argued that prosecutors failed to prove they had enough evidence the cause was even arson. She also said there was no proof Clark intended to carry out the alleged threats he was making about Romero, especially “given his mental state” at the time. Clark’s criminal case was briefly suspended in August when his courtroom outbursts led a judge to voice doubt about his mental competency. Another judge on Nov. 28 found Clark competent to assist in his defense, and criminal proceedings resumed.